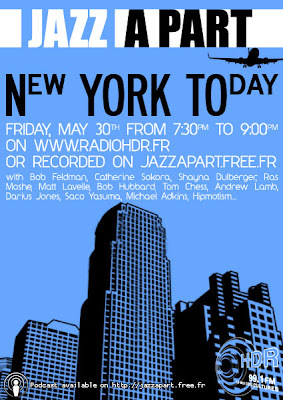 Utican Bob Hubbard on French Radio!! I'll be on French radio on Friday - it will be available on 99.1 FM in France or as podcast. See attached flyer - solo drum improv I did as well as something with Catherine and Francois. Also at "The Living Theater" with Catherine Sikora and Francois Grillot on July 2 . Then John Zorn's Club "The Stone" with Ken Filiano and Bob Feldman on July 13. This program will be airing live at 1:30 PM Eastern this Friday on Radio HDR 99.1. This RADIOLA! celebrates that antique mode of transportation that seems a pretty fair alternative to four-dollar gas. (Thanks to William for the theme idea.) Tune in tonight to WHCL at 8 PM Eastern (with streaming here)--I'll upload the show to my Live365 station this weekend. This RADIOLA! is dedicated to all those components which make up our entirety, though some of them are not specifically named. Tune in tonight to WHCL 88.7 FM at 8 PM Eastern, stream the program live HERE, or listen later on my Live365 station. This RADIOLA! is a virtual bender in honor of a station-wide email sent last week by WHCL's General Manager: We will NOT be airing on Friday evening. It is ILLEGAL to be on the air when one is intoxicated, so don't even try it. First of all, RADIOLA! will be on, as usual, at 8 PM Eastern on WHCL (with streaming HERE)--and the evening broadcasters tend to be "sober men and true." Although tonight anything might happen. I'll upload the broadcast to Live365 once the room stops spinning. Also, we toast the memory of Chicago tenor sax legend Franz Jackson, who died May 6. 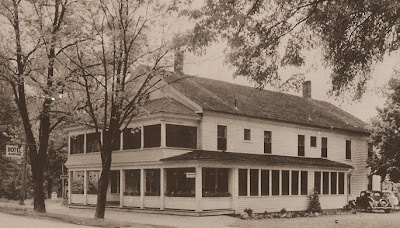 Al Gallodoro and JoAnn Chmielowski are scheduled to play Saturday, May 10 (6-9 PM) and Sunday, May 11 (5-8 PM, with Dennis Turechek) at the newly restored Empire House Restaurant, located at the Corner of Routes 8 and 51 in Gilbertsville, NY (Telephone 607-783-2859). Tune in tonight to WHCL at 8 PM Eastern (with Shoutcast streaming HERE) and I'll be uploading the show to my Live365 station this weekend.